Thanks for checking out the wrestling links and friends page. Here you can find some of our favorite links to vintage pro wrestling sites and friends in the pro wrestling business. Get information about wrestling history, wrestler biographies, where to go for wrestling DVDs and memorabilia and more. From time to time, we will showcase a link of special interest by featuring it in the header banner above. Our current featured link is for the Cauliflower Alley Club. An amazing site for wrestling fans. Solie’s Vintage Wrestling is packed with wrestling history, photos, memorabilia, links, videos and DVD’s from the glory days of Professional Wrestling. A fraternal organization for pro wrestlers, boxers and wrestling and boxing enthusiasts. Don Anderson is a proud member of this club. Formed to pay tribute to the great wrestlers who performed in Arizona during the 1960s through 1982. Where Wrestling’s Regional History Lives! The 1wrestlinglegends.com homepage – A website dedicated to the legends of professional wrestling. This is where you’ll find the most thorough coverage of professional wrestling nostalgia. The only wrestling history newsletter published monthly since 1990. Features shoot columns by wrestlers Killer Kowalski, his protege Bryan Walsh and Dale Pierce. A great site for true Memphis Wrestling history. Covering some of the biggest names in the business like Jerry Lawler, Sputnik Monroe, Tojo Yamamoto, and more. Also offering wrestling books and DVD’s, interviews, and title belt info as well as specialty items. Dedicated keeping the memories alive. A really groovy site offering an amazing collection of vintage Memphis Wrestling DVDs. Many classic matches and rare footage including some of the biggest names in the Memphis Wrestling scene. Don Anderson appeared in MEMPHIS WRESTLING IN THE 70s, VOLUME 3 battling it out against Jerry Lawler. 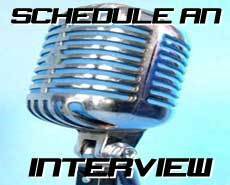 Contact the wrestler for information on scheduling interviews and special events. Send us an email with all the info to check availability. If you are a former wrestler, current wrestler or in the wrestling business and would like to be added to our links page, please contact the webmaster. We’d love to hear from you! Copyright © 2019 Legend of Wrestling All Rights Reserved.